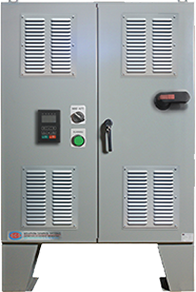 Nema 1 - Solution Control Systems Inc. Nema 1 - Solution Control Systems Inc.
Nema 1 packages installed with nema 1 louver or grills on the enclosures for cooling means. These panels can be installed indoor dry locations where there is no dust. Electric fans are also installed on the louvers or grills for forced air cooling where natural cooling is not enough.